In order to keep pace with never ending demands of the customers, our company is instrumental in offering High Pressure Ionization Chamber. 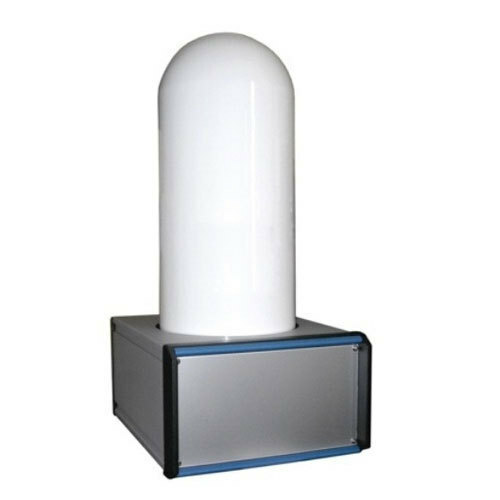 High pressure ionization chambers ICP and ICP-T are designed for environmental area monitoring of the gamma dose rate; the enclosure of ICP-T is suited for the detection of low-energy gammas (>35 keV). All models are supplied together with state-of-the-art HV and electrometer boards, providing power supply, signal acquisition and processing. A special electrometer model (details below) is available for measuring very high-level pulsed radiation fields, such as those generated by synchrotrons and other accelerators. Since 1970, “Aeronics Emaroh Private Limited” is enthusiastic to become a foremost entity and that’s why it is enthusiastically involved in this occupation of manufacturing. Our organization is headquartered at Yeshwanthpur, Bengaluru, Karnataka. The assortment of products we provide to our customers includes Rotameters (VariableAreaFlow Meters), Thermal Mass Flow Controllers, Paddle wheel Meters, Vortex Flow Meters, Valves, Accessories and many more. Our professionals are constantly setting new standards in the market in terms of superiority that is hard for anyone to attain in this industry. Our firm has also stepped on the path of success by purveying the excellent quality range of products. Furthermore, we are shipping all our products at the doorstep of client’s at most reasonable prices for the better satisfaction of clients.